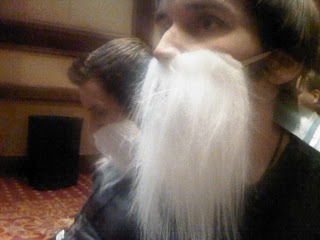 The Skeptic in the Room: TAM2012! It's on! The lineup of speakers for TAM2012 in Las Vegas has been announced, and it's another murderer's row of skeptics and promoters of reason and logic. I'm really looking forward to attending again this year (my second TAM), and even more pleased that my two sons will again join me for the event. It's a skeptical family affair! The only disappointment so far (other than the lack of the name Neil DeGrasse Tyson on the speakers list) is the absence of a catchy nickname for this year's event (after last year's TAM 9 From Outer Space). I get it that TAMX sounded too much like a feminine hygiene product, but it seems like there should have been some effort put into this. Come on guys! At any rate, Vegas here we come!